Mother’s Day is celebrated this year on 18th March here in Ireland. So, with that in mind, here are my “Mother’s Day” (or any day) Cupcakes, and, if you try them, I hope you love them as much as I do. They have now become my “signature bake” as they have proved to be a big hit whenever I give them as a gift. 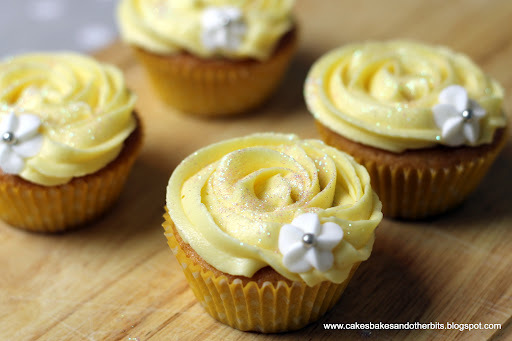 The “secret” ingredient is Lemon Curd, and whether you buy it or make your own, it just lifts these cupcakes to a whole new level. For the Cupcakes I use my Mam’s sponge recipe, which is the 4, 4, 2, 4 formation! Cream the butter and sugar together until pale and fluffy. Zest the rind of the lemon with a microplane straight in to the butter & sugar mixture. Add one egg, and a large spoonful of the flour in on top, and beat again. Do the same with the other egg, and another spoonful of flour. Then add the rest of the flour, beat again. Next add the milk, give it another beat, and lastly add the Vanilla and give it a final mix. Spoon the mixture in to a 12-cup bun tray, lined with paper cases. Bake in a pre-heated oven at Gas Mark 4/180C/350F for between 15 and 20 minutes. 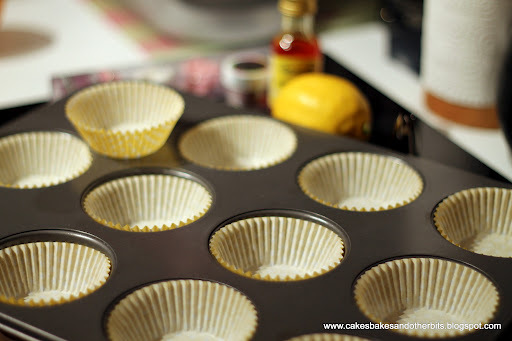 Let them cool completely on a wire rack before icing/frosting them. Place the butter and a small amount of the sugar in a food mixer or stand-alone mixer (using the paddle attachment) and beat until fully combined. Add the rest of the sugar, a little at a time, beat, and repeat until all the sugar has been added. Add the lemon curd, and beat again. Then, add the food colouring, one drop at at time, until you get the colour you like. 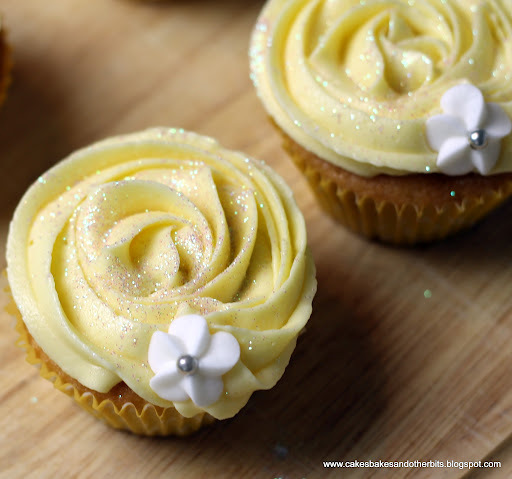 Place the butter-cream in a disposable piping bag, and, using a 1M tip, pipe the mixture on to the cupcakes in a Rose Pattern. Piping the Butter-Cream Rose – Master-Class, so pay attention! Start in the centre of the cupcake, and come around, but move in a fraction each time, so you cut in to the previous swirl. 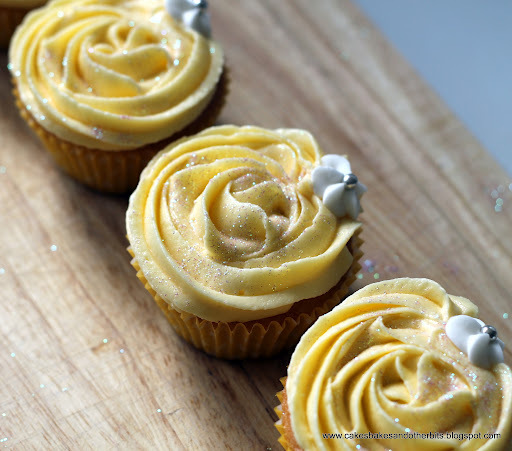 Pull the tip up when you have covered the top of the cupcake, and pop a pretty, but edible, cake decoration, or small sweet (candy) over the point where you finished frosting. I finished mine with sprinkle of cake glitter. Next Post Another Milestone Reached! So beautiful and loving cupcakes!!! Thank you for your comment, Elpiniki, they are simple to do, and are well received by those you give them to.